Under this new joint venture, Varley Rafael Australia will produce a range of Rafael systems in Australia and help build sovereign capability, drive innovation and jobs, and create export opportunities. 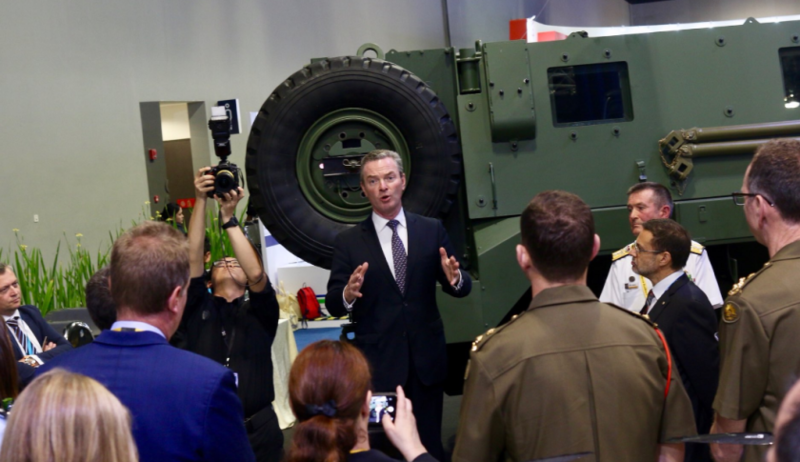 Defence Industry Minister Christopher Pyne has announced a joint venture between Australian company Varley and global defence company Rafael, saying it is a great mark of confidence in Australia’s defence industry. "This partnership between one of Australia’s best defence companies and a global success story like Rafael is another success story for Australian industry. This will bring IP, know-how and advanced manufacturing techniques to Australia to produce capability for use by the ADF with the potential for export to our friends and allies," Minister Pyne said. Varley is one of Australia’s oldest and most advanced manufacturing and engineering companies, with a history of delivery for the ADF. Varley Rafael Australia will create around 70 new jobs here in Australia as Rafael transfers their expertise to Australia. The Australia-Israel Defence Industry Cooperation Joint Working Group was established to strengthen ties between Australia and Israel, explore defence industry and innovation opportunities, identify export opportunities and support the industries to co-operate in the development of innovative technologies for shared capability challenges. Minister Pyne elaborated on the growing defence relationship between Australia and Israel, saying, "This venture follows my visit to Israel in July this year where I discussed this important partnership with Rafael’s leadership and participated in the inaugural Australia-Israel Defence Industry Cooperation Joint Working Group." Varley was established in 1886 and is one of Australia's oldest and most advanced engineering and manufacturing companies. Current manufacturing projects include custom emergency service, health, education and rescue vehicles, defence ambulances and arms storage facilities, industrial and recreational electric vehicles, power plant restorations and rail maintenance works. Rafael develops and manufactures advanced defense systems for the Israeli Defense Forces, as well as for foreign customers around the world. The company offers its customers a diversified array of innovative solutions at the leading edge of global technology, from underwater systems through naval, ground and air superiority systems to space systems.